Dublin is a very special place, and anyone who has been there will tell you the same. One of my favorite parts about Dublin was being able to experience Irish culture there. Irish people are loud, they love to drink, and swearing is just a part of the conversation. Irish culture is not just about shamrocks and leprechauns however, they have a long history of struggle and resilience, therefore I gained a great appreciation for the Irish people. There is something about traveling to a place that really opens up the rich history that lies behind what they are today. The Irish fought hard for the country that they have, and it is evident in their national pride. Also fun fact, Ireland's national color is actually royal blue, which surprised me because I figured it would have been green. Sit in an Irish Pub and have a Guinness. I like to say that I went to Ireland sober and came back drunk. In Ireland, going to a pub to get a drink is just a part of social life, I would say it is comparable to sitting and having coffee in Sweden. What I loved about this was how laid back it all was, and once you have a Guinness or two in you the conversation flows well. That is just the thing though, the environment of sitting in a pub, listening to live music playing is just one that brings me joy and happy memories. Walk around town and hunt for cute doors. 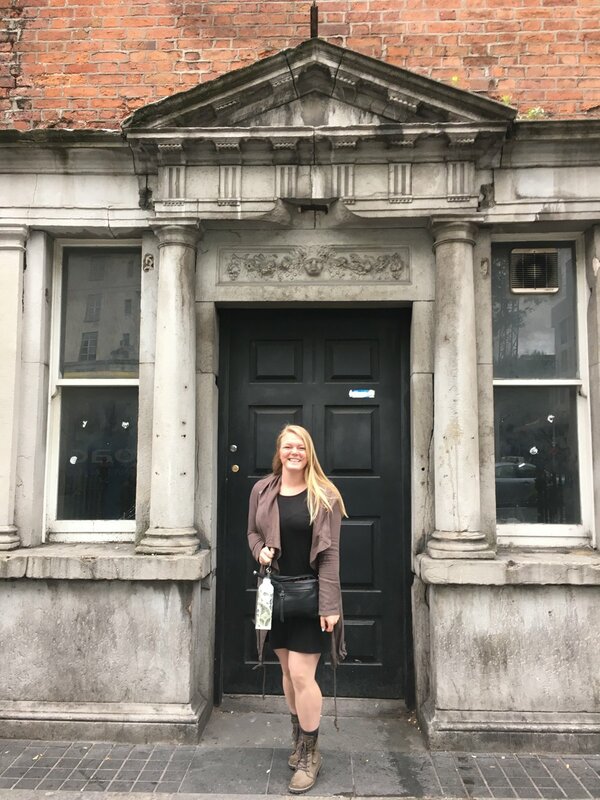 The city of Dublin itself is charming as well, one of my favorite things to do was to go hunting for Georgian-style doors all through the city. Many people refer to them as the 'doors of Dublin' which many of my classmates loved to kid me about since I always got so excited about them. Chasing doors through the city is a fun and free thing to do in Dublin, its a great scavenger hunt idea to have. While it may seem a bit pricey, I thought that this factory tour was totally worth it, even if it is just for the free pint and the view from above. Also if you can remember the facts from your visit, it just might be useful someday at an Irish trivia pub night. The Guinness factory is a very cool set up, they have the whole process of how beer is made in a visual form. There are beautiful waterfalls to show the water, and live hop plants to demonstrate how hops are grown. They even had an area showing how beer had been made throughout history. From the view above you have a angle on all of Dublin. 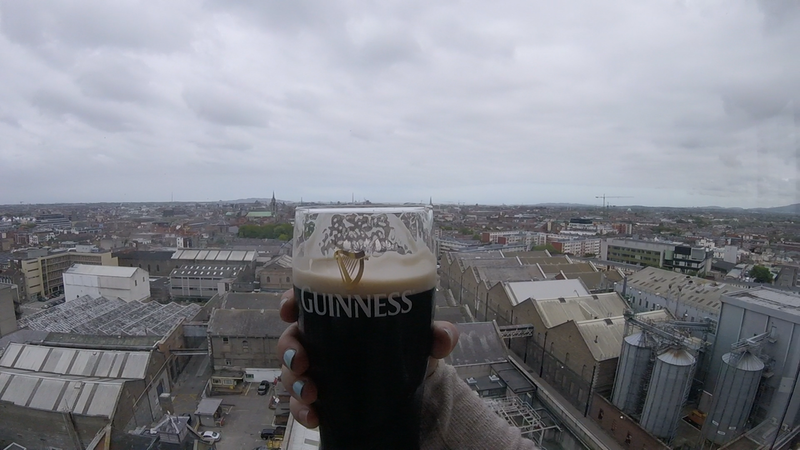 Even if you do not like beer, you should go to the Guinness Factory, sip some Guinness and look around at the city of Dublin. The view from up above Dublin cannot be beat. Go to Trinity College to see the Book of Kells and the Long Room. The long room is really an incredible sight to see, especially for book lovers. It really is a room that is long, but with the high arches and shelves upon shelves of books, it looks like another world. This is at the end of the tour of the Book of Kells, so when you purchase entrance to one it is like a two for one deal. Take a trip out to Fourty-Foot. We rode the bus out to this location, which was one that my friend found before we left for the trip. The area was a really cute little dock space with a great view of the sea. 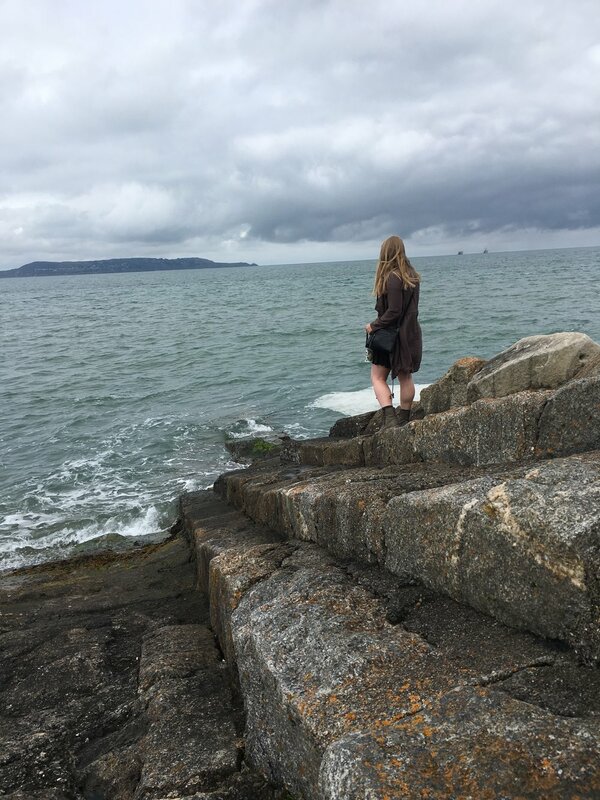 It was nice to get outside of the city of Dublin for a day, even though I loved it, I am also a huge fan of more natural settings. This was just a fun day to get away. Visit the Temple Bar District. Even though this is a pretty touristy area to see, it is still a cool location. One of the hostels we stayed at was actually in the Temple Bar District, which was super convenient for coming back late from bars. The Temple bar District is just one of those things that you need to experience at least once when coming to Dublin. The lesser known Purple Bar District was where a lot of the locals told us to go instead of the Temple Bar district, this area had more art and photography but the bars were packed! Go On a Musical Pub Crawl. The musical pub crawl we went on was led by two gentlemen, Ray and Antony, who were hilarious. These two led us through three different bars, singing traditional Irish music and drinking Guinness with us. One of the best parts about this was the anecdotes that these two told. They also often included different backstories about how certain Irish pub songs came to be, which was my favorite thing about it. This was one of the best nights in my opinion, and it was a great way to see the bars that they liked to go to so we could return later. Just because the Republic of Ireland is no longer a part of the U.K., does not mean they do not share some of the same affinities. 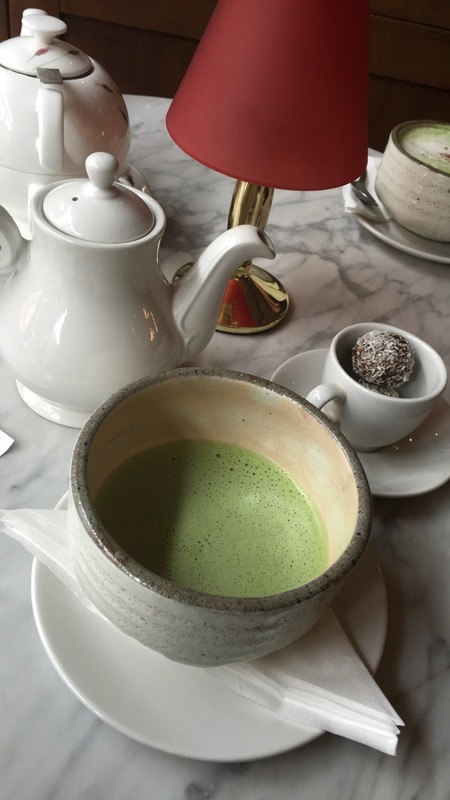 One of my favorite things to do in Ireland was to spend the afternoon drinking tea and eating sweets. This was something that could be a short affair, or a long evening. One day we spent three hours just sitting, chatting, and drinking tea. Not only was it a great thing to do to connect with my traveling companions and get to know them better, it was also a great way to slow down for a minute. Especially when traveling, I can tend to get over-ambitious and feel as if I need to constantly doing something to make the most of my time. By taking what we referred to as 'tea time', we were able to slow it down and take a second to appreciate where we were and the fun we were having. There were many other things about Dublin that I truly loved, the resilience of the Irish people is something that I admired. I hope to one day return, because there is much more of Ireland that I was not able to see and experience. There is just something about the Irish countryside that pulls you in and inspires. I would highly recommend a visit there if you have not gone yet. Have you been to Dublin? Did you do any of the things that I did? Let me know!